During our recent vacation, we spent a few days on Orcas Island. It is the largest island in the San Juan Islands, and has been on my travel wishlist for years. We had beautiful weather, went whale watching, and explored the tiny strip of shops that seems to sustain the majority of the residents and tourists. 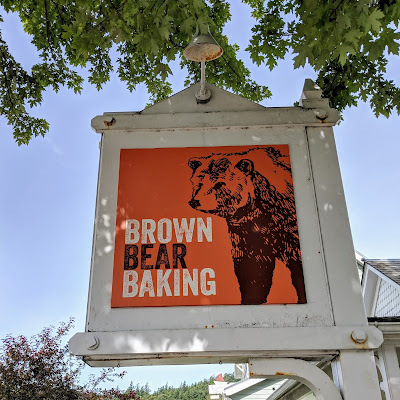 One of the places we went to several days in a row is Brown Bear Baking. First I should warn you that at least the week we were there, it was closed on Mondays and Tuesdays. Sad! But worth the wait for Wednesday. Pay attention to those days though. And honestly half the businesses on the island seem to randomly close on Tuesday; future tourists beware. 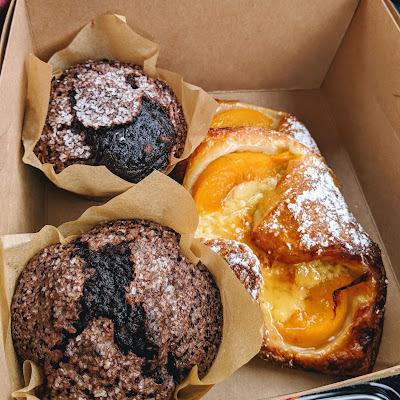 The bakery was packed full of people with more people in line. From what the people working there said, this was the first week where they felt summer tourist traffic, and normally the pace is a bit slower and you might more easily find a place to sit. Our first day there, we ate in our rental car. The bakery itself is in a busy central place, and the second day we went there the bunny running for mayor was also in the courtyard, with free face painting, and it was a weekday! The bakery provides coffee, espresso, pastries, including some savory pastries, tea cakes, scones, granola, breads, and offers sandwiches for lunch (we did not try these but one person was busily doing prep for what looked like a busy lunch period!) The case was stocked and constantly depleting and being refilled. 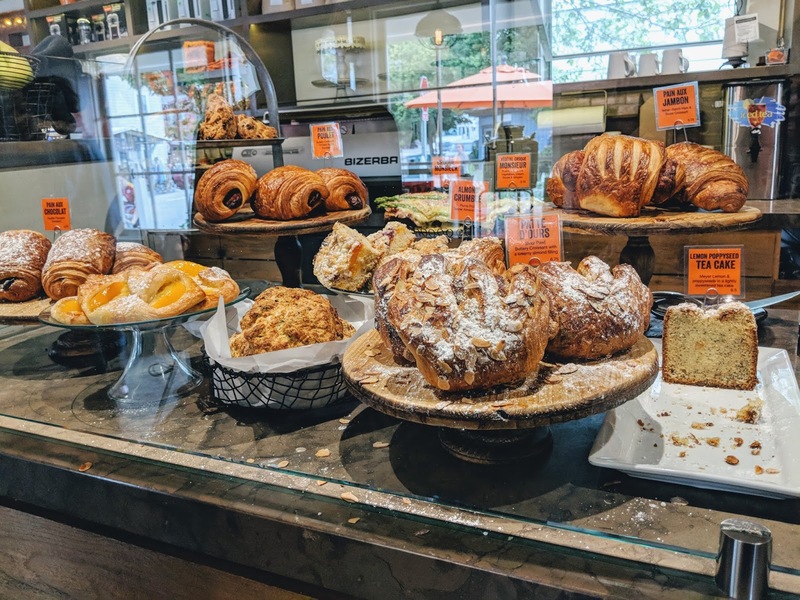 What I loved about the bakery, besides the deliciousness, is the way everyone seemed to work together. One of the owners, who I think is Lee Hilands Horswill, seemed to be efficiently running a very busy team, but also did just as much to fill in where needed. He was a leader working just as hard as everyone else, and I think this contributes enormously to their success. In our short time there I saw him restocking the case and helping a younger worker take the dirty dishes to the back. I do think they may need to either rethink the flow of people through the place or rethink offering espresso! There is a clog in the machine near the espresso machine, on the opposite end of the counter from where you order. There are at least two other places within a block radius that offer espresso. 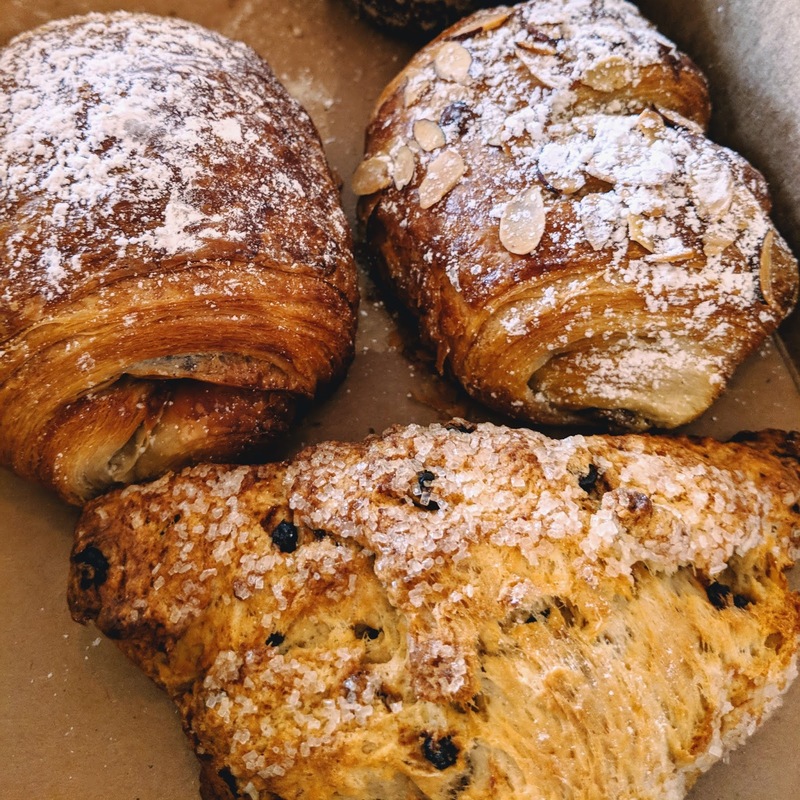 I say order pastries at Brown Bear and go to Kathryn Taylor Chocolates or Darvill's Bookstore for a coffee drink, and get out of there faster. 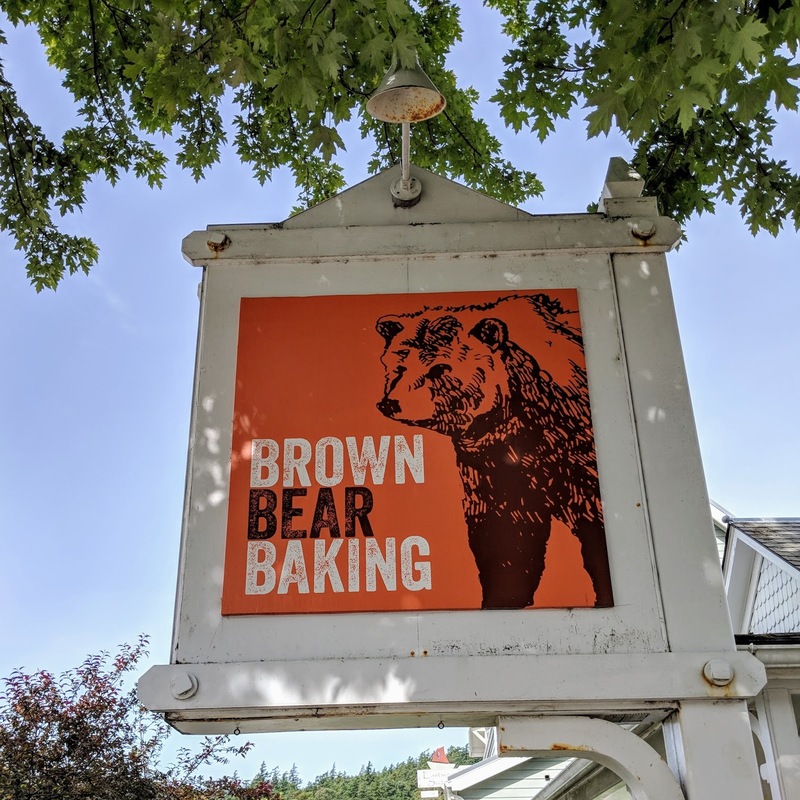 But espresso is new at Brown Bear Baking, so maybe it will sort out. I found this article about the partners who own and run the bakery, and their journey to Orcas Island, and a flap over the flag. Since we were there during pride month, it seems appropriate to share! Not a paid advertisement. I just like trying new bakeries and thought their pastries were delicious.